I know a thing or two about dieting, because I have been in your shoes. So there I was at about 10 or 11, taking who knows what kind of pill out of a tiny, unmarked box. I’m not exactly sure what those fat pills were, but shortly after, when I entered high school and was a lot more active. While I continued to be a little husky, weight was no longer an issue for me. My active lifestyle continued through my early 20s. I was an avid bicycle rider who rode a minimum of 15-20 hours a week with each ride at least 15-25 miles. Despite my diet of primarily pizza and beer, I was in excellent shape. Then suddenly things began to change. I began to become more serious about my career and as a result I significantly reduced my bike riding. In 1982 when I entered Chiropractic College, I was the heaviest I had ever been and at 5’11 quickly ballooned to 235 pounds. This was a lot of extra weight considering I was used to being 175-180 pounds. I knew I had to do something about it, but school was taking a lot of time and whatever I chose could not interfere with my future plans. I wanted something simple with the framework all laid out, so I decided to sign up for Nutrisystem. 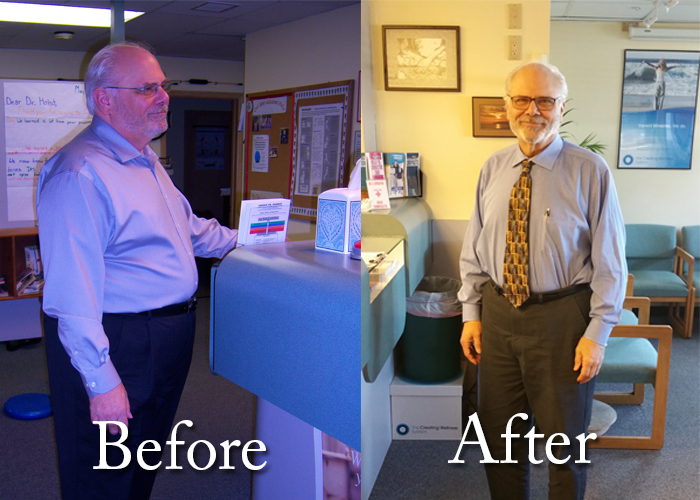 Through a combination of exercising like crazy and Nutrisystem, I lost 60 pounds in 6 weeks. I was feeling great and not a day went by where someone didn’t compliment me on my transformation. However, after graduation life got busy again. The problem was that Nutrisystem helped me to lose the weight but it did not teach me how to maintain my weight when I was not eating their food. I regained the weight I lost and a hefty 100 pounds in addition. Nutrisystem was the first of five different plans I tried over the years. From diet fads, to personal trainers, to shakes, I could not find a plan that worked long term for me. No matter how dedicated I was or how different each method, I would always lose the weight only to gain it right back again. However, roughly a year ago, I lost 80 pounds using the True Cellular Detox program. It is the program I now recommend to my patients. True Cellular Detox is a program designed to not only help you lose weight, but also to get you to your ideal wellness goal. Through natural supplementation, dietary recommendations, and exercise your toxins are removed and your cells are restored and regenerated. For more information about achieving your ideal state of wellness, beating the life long battle against weight or the True Cellular Detox program, visit our website at www.middletownhealthandwellnesscenter.com or give us a call at 845-344-0444.